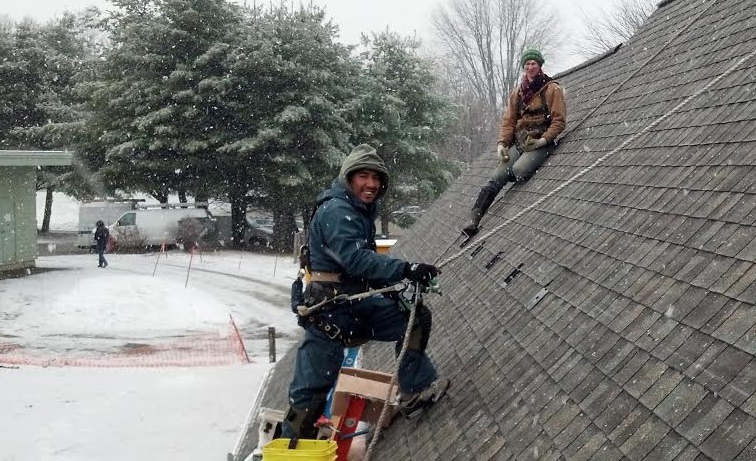 PV Squared is the only solar installation company and worker-owned cooperative based in the Pioneer Valley. And we’ve been this way since we got started in 2002. In a worker-owned cooperative, the people who do the work make the decisions together, instead of having them handed down from an executive. It’s an effective, think-on-your-feet model that allows workers to offer their perspective, suggest alternative methods and affect real change in practices. The majority of worker-owned cooperatives are small businesses, with more and more of these growing into much larger enterprises as they find success in the cooperative model. At PV Squared, like other worker-owned co-ops, we create stable, long-term jobs, employ sustainable business practices and are strongly connected with and accountable to our community. ﻿Every member of the PV Squared team has a direct stake not only in the success of our business and our clients’ businesses and homes, but also in the local environment. Walk into our office and you’ll immediately sense the difference: our workers are happy to be here. They’re committed to the business as owners, and the business itself is connected to the community in a significant way. Since 2002, PV Squared has provided renewable energy solutions to homeowners and businesses in the Pioneer Valley and the surrounding regions. We’ve grown from a four-person company to more than ten times that size today. As a worker-owned cooperative, we’re invested in the happiness of our clients, the livelihoods of our workers and the health of our community. This is an important milestone for us as two of our core goals are to create sustainable, living-wage jobs and to strengthen our local economy. We work hard to deliver projects that go above and beyond, not just in terms of power production and finances, but also in terms of thoughtfulness and attention to detail. Our client-focused approach has built a reputation for quality and service that is second to none. We have installed PV systems for more than a thousand clients, each with unique goals and physical sites, and we utilize that experience with every new system we design and install. Our goal is to create sustainable, living-wage jobs and strengthen our local economy. At PV Squared, we’re very proud of the partnerships and associations we’ve developed with so many great organizations in the Pioneer Valley and beyond. And we’re fortunate to work with so many individuals who are dedicated to innovations in green energy and the future of our planet. As a worker-owned cooperative in the solar industry, PV Squared is always looking for motivated individuals with the right skills, enthusiasm for technology and a willingness to work collaboratively with a team. We love to meet people who are excited by the challenges and opportunities in the field of solar power. A career with PV Squared offers great benefits and the unique opportunity to become a business owner. To apply for a position with PV Squared, please send your resume and letter of interest to pooc.1555715419derau1555715419qsvp@1555715419sreer1555715419ac1555715419.